Diamond Select Toys was founded in 1999 by sister company Diamond Comics Distributors to create collectibles for adult collectors, and has since licensed a variety of pop culture properties, including Marvel Comics, Star Wars, Star Trek, Transformers, Ghostbusters, Halo, G.I. Joe: A Real American Hero, Indiana Jones, Battlestar Galactica, and Back to the Future. While they have made collectibles in numerous product categories, including action figures, plush, banks, busts, statues and prop replicas, many of their licensed properties are released in the form of Minimates mini-figures, which has helped make Minimates one of the most prolific and diverse toy brands in the world. Cast in sturdy vinyl, the bank features a coin slot hidden between the fins on his back, as well as an access door hidden inside his removable tail. This vinyl bank of the city-destroying and alien-fighting lizard called Godzilla is based on his appearance in the 1989 movie "Godzilla vs. Biollante"! Cast in sturdy vinyl, the bank features a coin slot hidden between the fins on his back, as well as an access door hidden inside his removable tail! Stands 12 inches tall and measures 18 inches to the tip of his tail! Sculpted by Gentle Giant Studios! Godzilla is more than just a giant lizard – he's also a walking nuclear reactor! 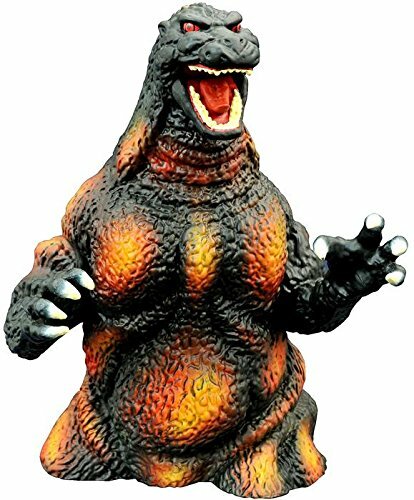 This new vinyl bank of the King of All Monsters depicts him as he appeared in 1995's Godzilla vs. Destoroyah, when his atomic heart began to overheat. With an all-new black-and-orange color scheme, this 12-inch-tall, full-figure bank features collectible-quailty paint applications, as well as a coin slot on his back and an access door hidden in the tail. Godzilla measures 18 inches long, from the tip of his nose to the end of his tail! Packaged in a clear polybag. Sculpted by Gentle Giant! 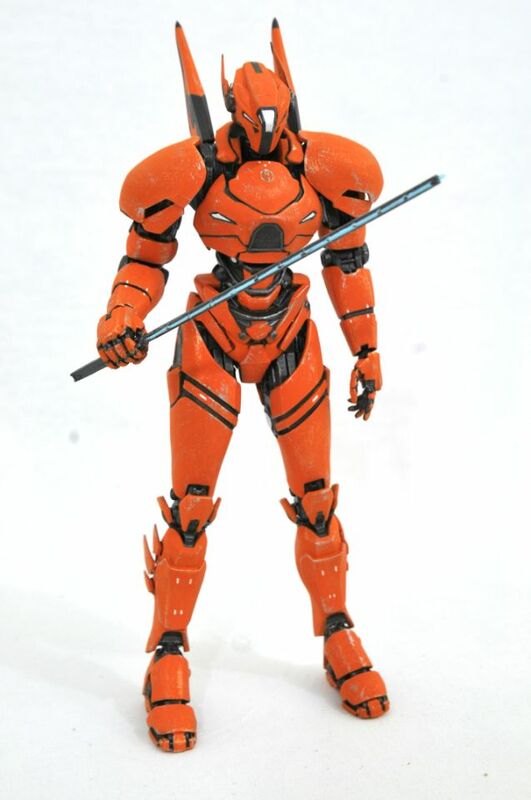 Note: this is the same as the 1989 version but with a different paint scheme, also when originally shown it had larger orange/red patches on it's body which were toned down for the release. 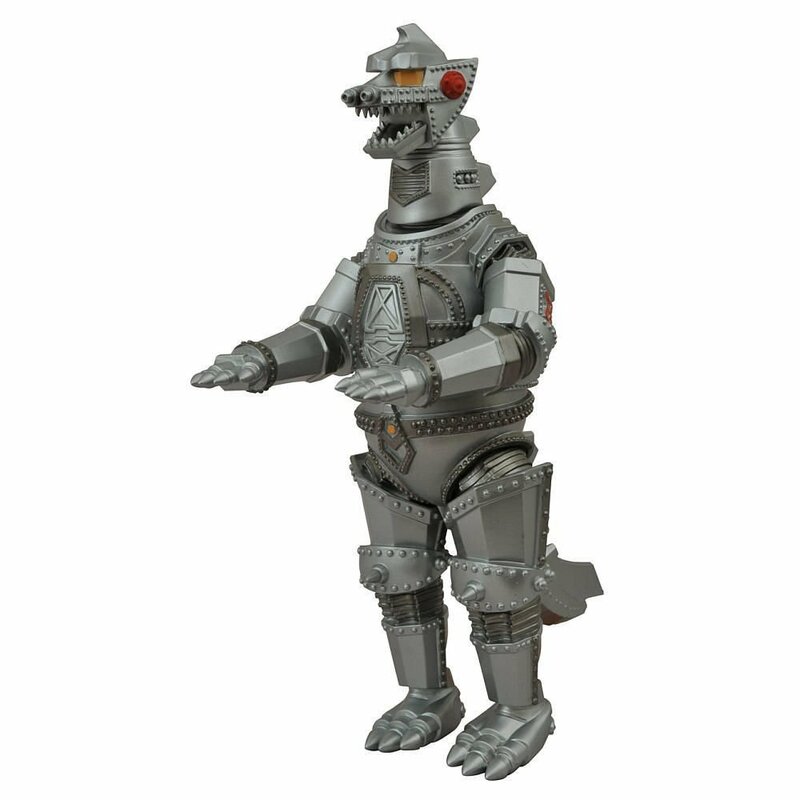 A cybernetic copy of Godzilla with superior firepower, this vinyl figural bank of Mechagodzilla is based on how the robotic kaiju appeared in 1974's Godzilla vs. Mechagodzilla. Standing 12 inches tall, the bank features a coin slot in his back, as well as a removable head for coin retrieval. Sculpted by Gentle Giant Studios! Watch out, MechaGodzilla! 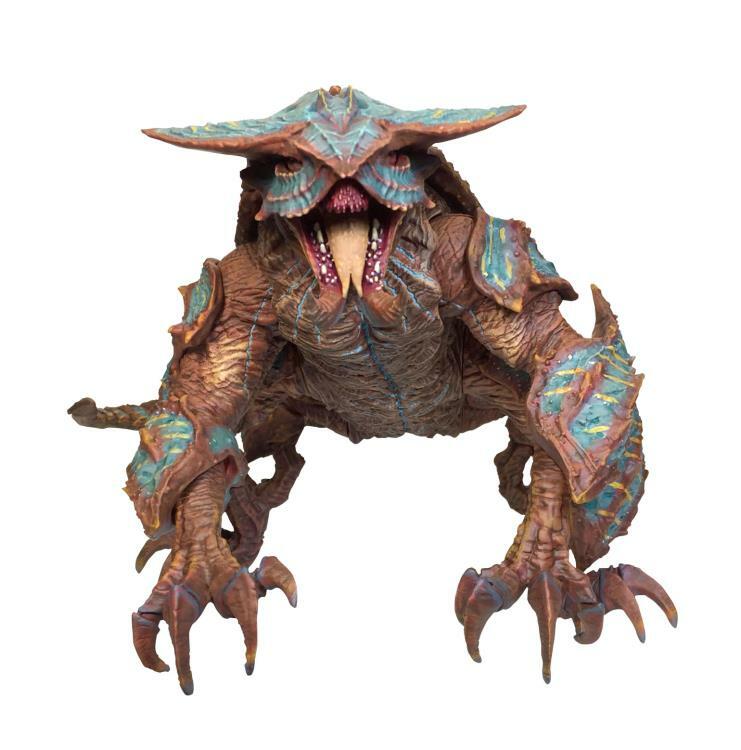 The newest full-figure bank in DST’s line of vinyl kaiju is your old foe Godzilla, exactly as he appeared in 1974’s Godzilla vs. Mechagodzilla! And you know what happened in that movie! 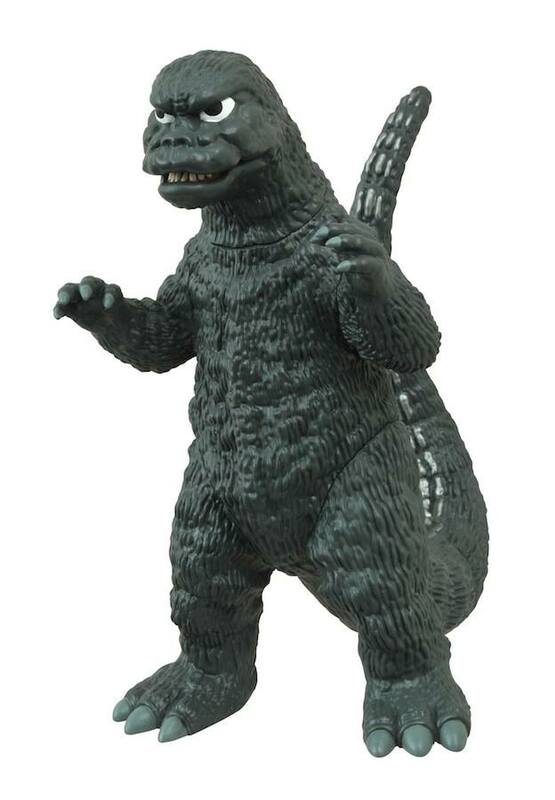 This 10-inch rendition of the King of All Monsters in his full 1970s glory features a coin slot on his back and a removable tail that reveals an updated and improved access door. 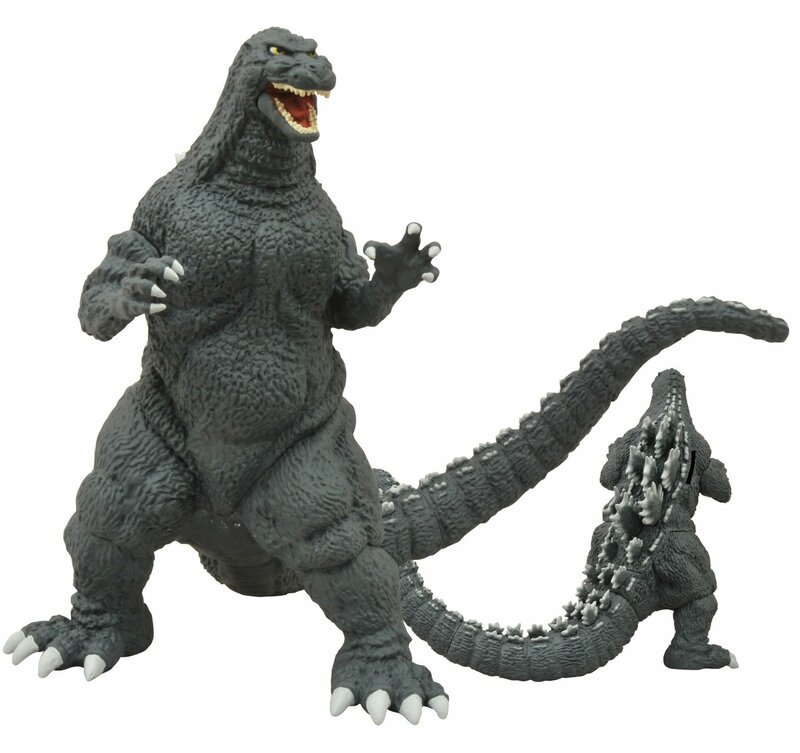 Measuring 18 inches long from nose to tail, he is the perfect addition to any Godzilla collection! Sculpted by Gentle Giant. Packaged in a clear polybag. Whether you be a friend, foe, or Godzilla himself, beware the coming of Rodan! The giant winged pteranodon began his film career as a threat to Godzilla and the world, but since then has become one of Godzilla's occasional allies, battling invaders from outer space to protect his home planet. 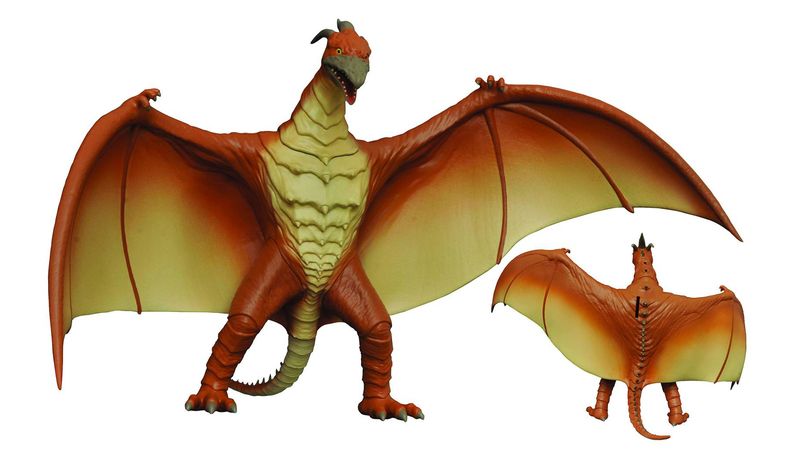 This 8-inch tall vinyl bank is based on Rodan's appearance in 1993's Godzilla vs. Mechagodzilla II, and has a wingspan of 10-inches wide. The coin slot is on the back and features a removable head Sculpted by Gentle Giant Studios. 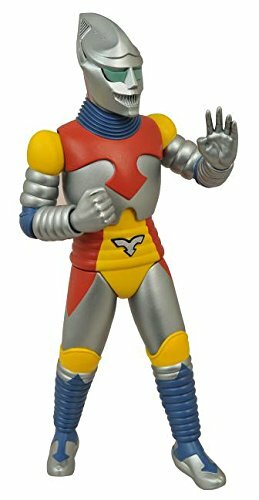 The robotic hero Jet Jaguar is now the next bank in DST’s line of vinyl Godzilla banks! Originally inspired by a fan submission to Toho Studios, the size-changing Jet Jaguar famously teamed up with Godzilla to fight Megalon and Gigan in 1973’s Godzilla vs. Megalon. Standing approximately 12 inches tall, this vinyl bank has a coin slot in his back, as well as an access door to remove your loose change. NOTE: Bank does not change size. Packaged in a clear polybag. Sculpted by Gentle Giant Studios! Is he monster, or hero, or both? 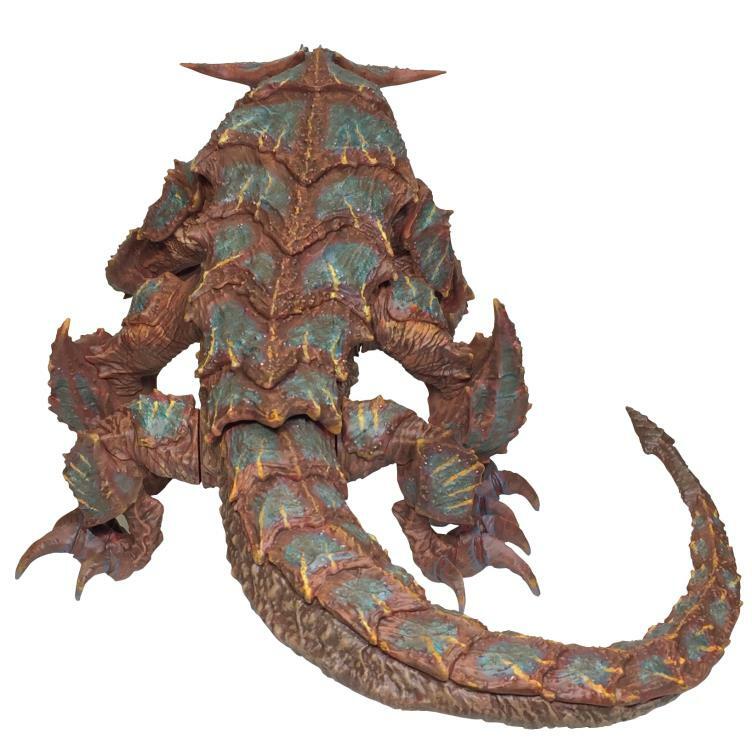 This 10-inch bank of the city-destroying and alien-fighting lizard called Godzilla is based on his appearance in the 1989 film Godzilla vs. Biollante! Cast in sturdy vinyl, the bank features a coin slot in his back, as well as an access door in the base. Sculpted by Gentle Giant Studios! Godzilla is more than just a giant lizard - he's also a walking nuclear reactor! 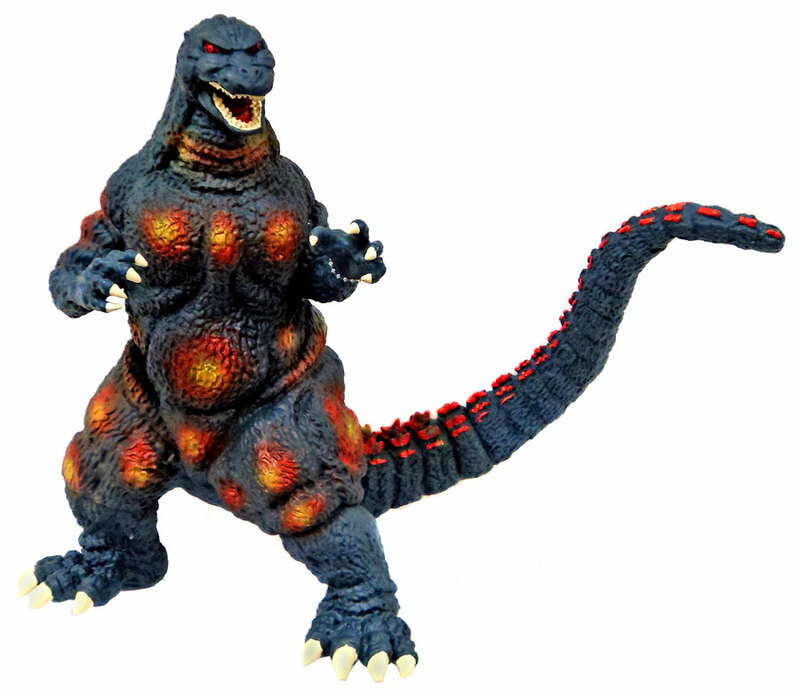 This limited-edition vinyl bank of the King of All Monsters depicts him as he appeared in 1995's Godzilla vs. Destoroyah, when his atomic heart began to overheat. With an all-new black-and-orange color scheme, this 8-inch bust bank features collectible-quality paint applications, as well as a coin slot on his back and an access door in the base. Packaged in a clear polybag. This SDCC 2014 (July 2014) edition is limited to 1,000 pieces. Note: This is actual the same as the 1989 bank but with a different paint scheme. A Diamond Select Toys Release! Hail to the King! 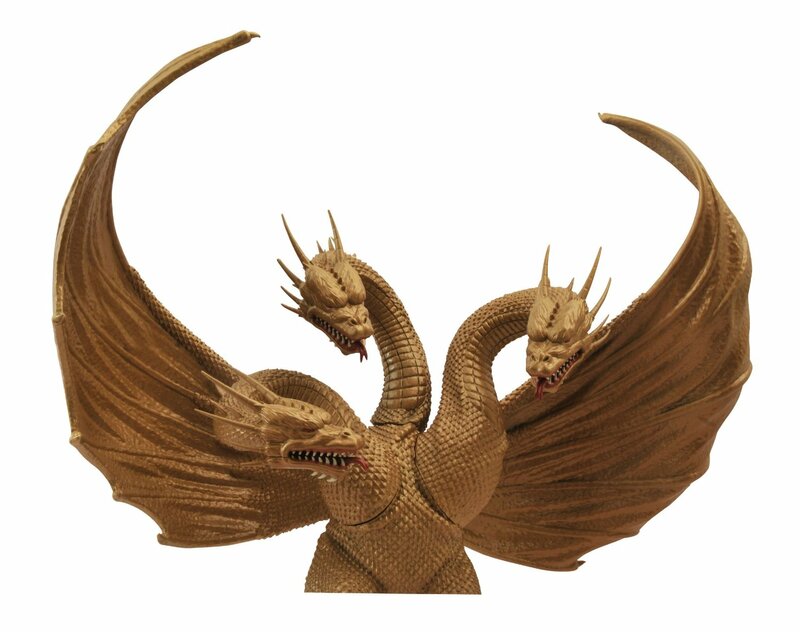 Godzilla has met his match with this vinyl bust bank depicting Ghidorah, the three-headed alien monster, as he appeared in 1991's Godzilla vs. King Ghidorah. Measuring approximately 8 inches, tall, the bank has a coin slot on its back for inserting your loose change, and an access door underneath. 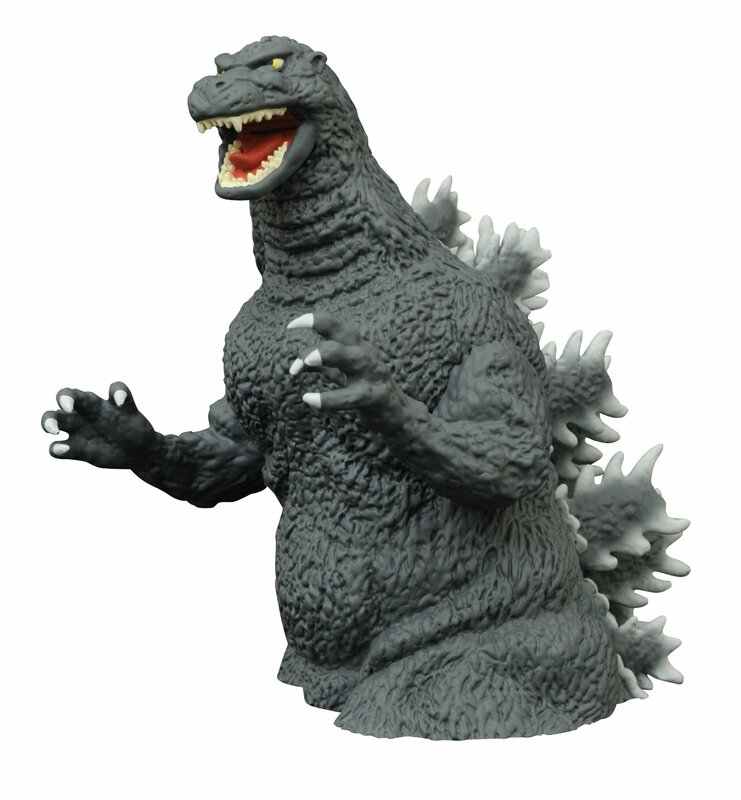 Have him battle your Godzilla bust bank for shelf supremacy! Sculpted by Gentle Giant! 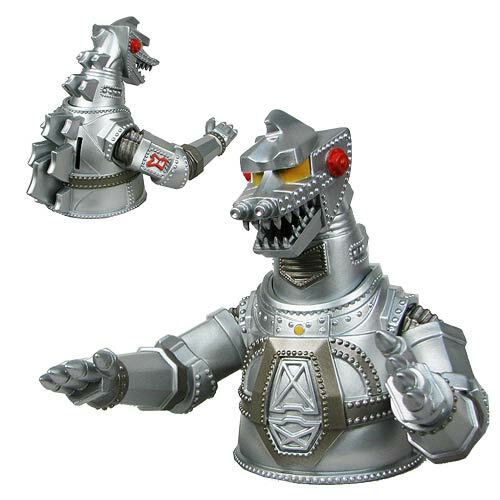 A cybernetic copy of Godzilla with superior firepower, this vinyl bust bank of Mechagodzilla is based on how the robotic kaiju appeared in 1974's Godzilla vs. Mechagodzilla. Standing 8 inches tall, the bank features a coin slot in his back, as well as an access door in the base. Sculpted by Gentle Giant Studios! What's the best way to stop a towering atomic monster? Put him in your pocket! 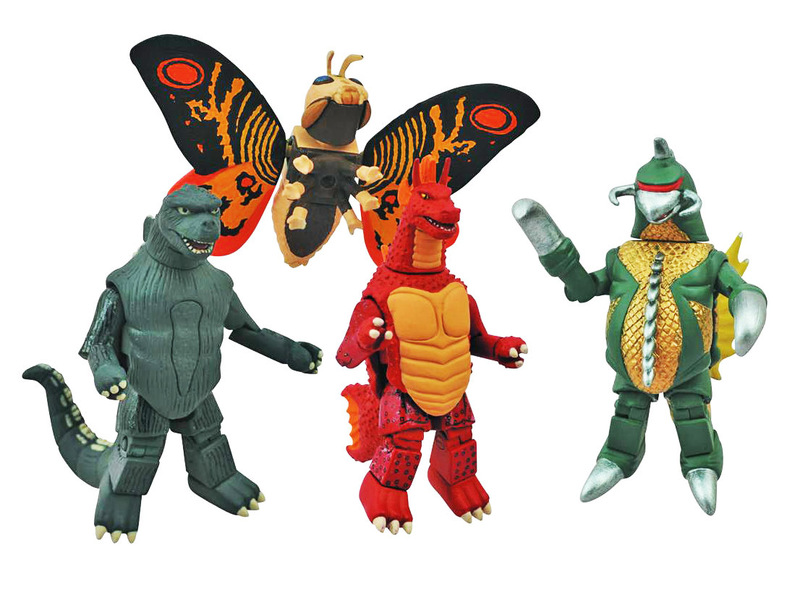 Celebrating 60 years of Godzilla movies, this box set of classically-styled Minimates includes Godzilla and three of his most famous friends and foes: Mothra, Gigan and Titanosaurus! Each Minimate mini-figure stands approximately 2 inches tall and features a variety of interchangeable parts. Packaged on a blister card. Designed by Art Asylum! The Classic Godzilla Minimates line continues, with new 2-inch mini-figures of Godzilla and his greatest foes! 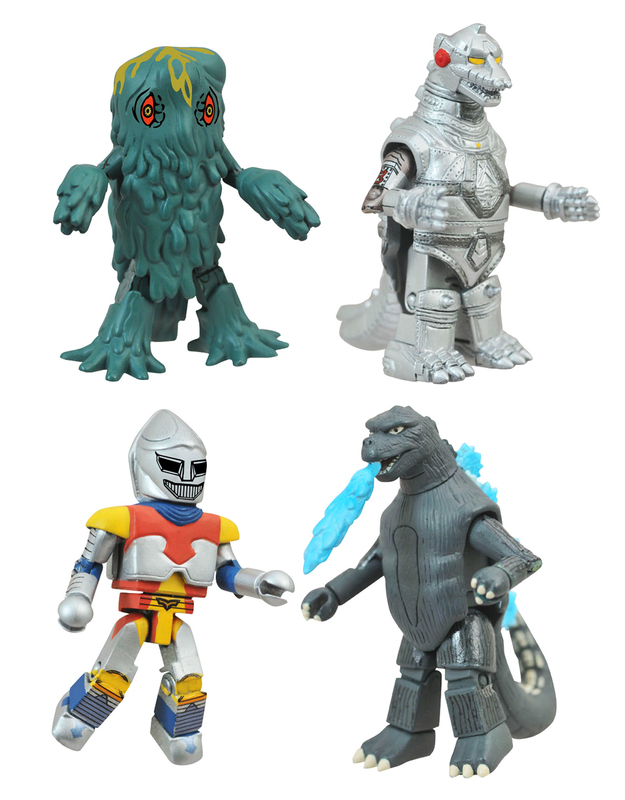 Series 2 includes tiny versions of Atomic Godzilla, Mechagodzilla, Jet Jaguar and Hedorah the Smog Monster, each featuring a variety of interchangeable parts. Mix and match to create your own kaiju hybrids! Comes packed on a full-color blister card. Designed by Art Asylum! Godzilla is back, and he brought company! This all-new box set of tiny, 2-inch monsters includes a new version of Godzilla, plus four of his greatest friends and enemies! 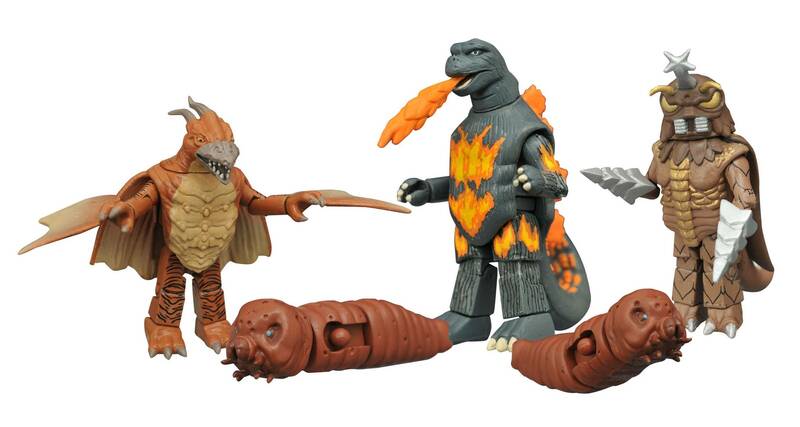 Burning Godzilla features a new orange-tinged paint scheme and removable flame breath, and he comes with all-new figures of Rodan, Megalon and two Mothra Larvae! Each Minimates mini-figure has multiple points of articulation, stands approximately 2 inches tall, and features fully interchangeable parts. Create your own kaiju! Packaged on a full-color blister card. Designed by Art Asylum! 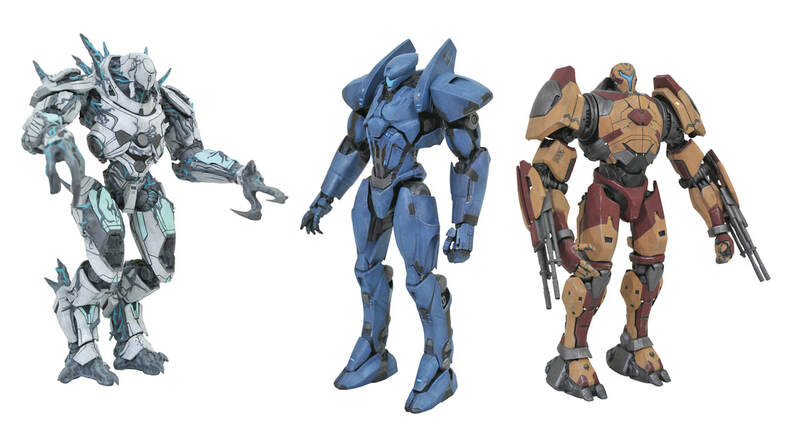 New figures Gipsy Avenger, Bracer Phoenix, and Saber Athena, (Series 1, above) with Titan Redeemer, Guardian Bravo, Obsidian Fury, (Series 2, below) being released August 2018. They are between 7 and 8 inches tall and will be sold in two versions one a $24.99 deluxe model with interchangeable parts and accessories and nicer packaging, which will be sold at specialty shops and online retailers, and a “streamlined” $19.99 edition to be sold at Toys “R” Us (probably without the accessories). Hakuja is approx 12 long and will be released Aug 2018 (bottom). There will also be the versions from the first film being released down the road. ​A Diamond Select Toys Release! Join the Uprising! Three new Jaegers are joining the fight against the kaiju menace, and each giant robot is cooler than the last! 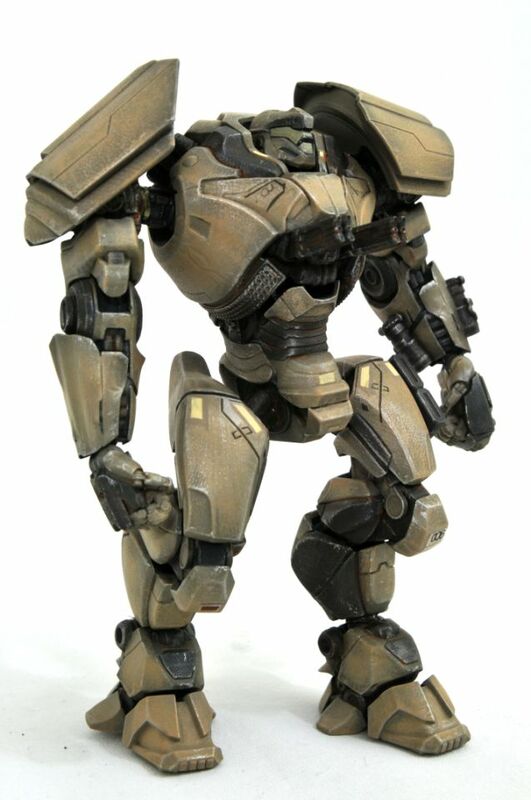 Joining the six Jaegers in Series 1 and 2, November Ajax, Valor Omega and the Kaiju-infected Jaeger Drone each measure between 7 and 8 inches tall. 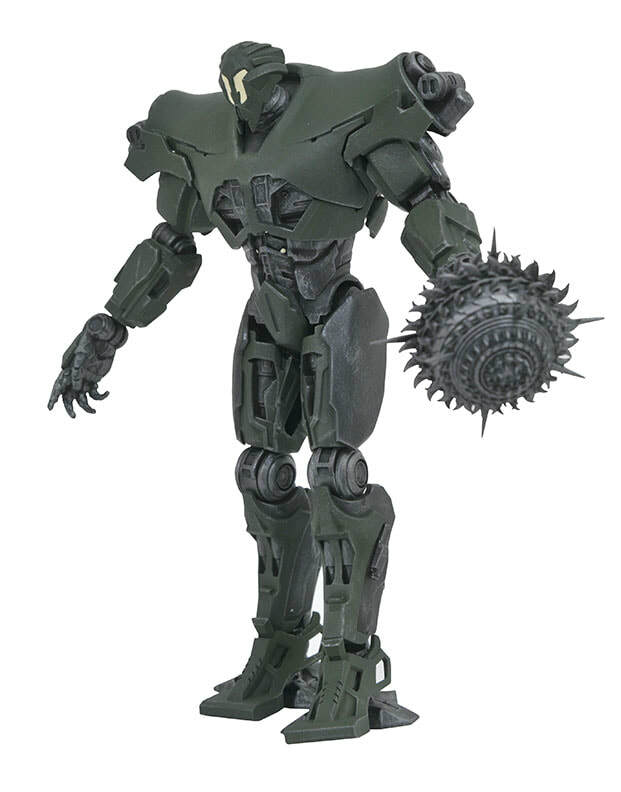 Each figure comes with interchangeable alternate hands, and each features approximately 16 points of articulation! Packaged in display-ready Select action figure packaging, with side-panel artwork for shelf reference. Sculpted by BigShot ToyWorks! Release date Nov 2018. Join the Uprising! The new Pacific Rim Uprising movie has introduced the world to new heroic Jaeger robots and new evil Kaiju monsters, and now you can get them all in a tiny, collectible format! 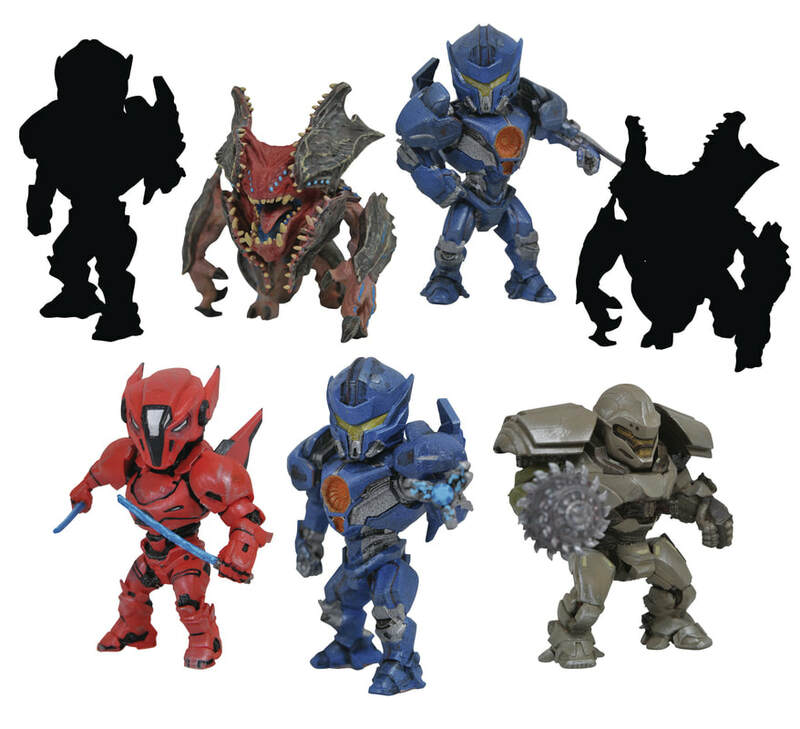 Each blind-packaged box contains either a Jaeger or a Kaiju, sculpted in the adorable "chibi" style, including Gipsy Avenger, Saber Athena, Bracer Phoenix and the hideous Raijin! ​There are 7 different variations to collect! Sculpted by Bigshot Toy Works. A Diamond Select Toys release! 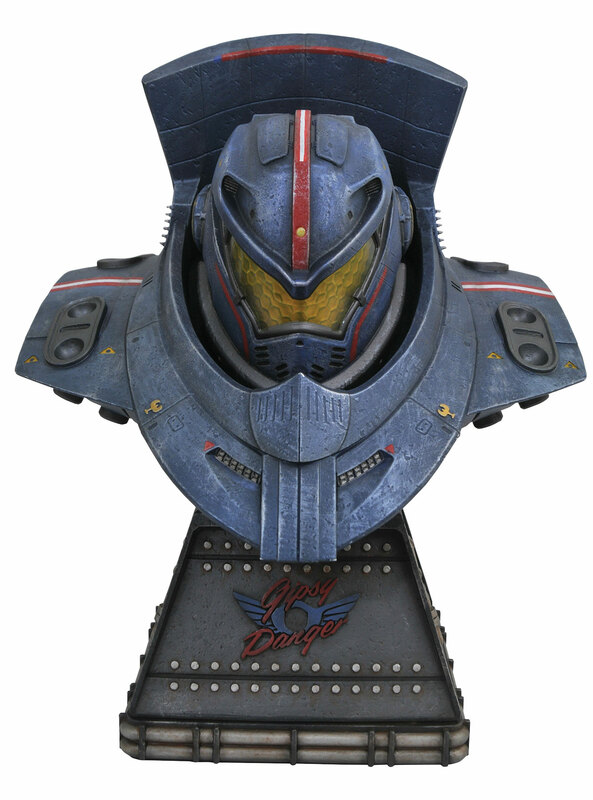 Measuring approximately 13 inches tall, this massive bust features incredible sculpted and painted detail, and is the ultimate cinematic collectible from the Pacific Rim movies. Limited to only 1,000 pieces, the bust comes packaged in a hand-numbered, full-color box with a hand-numbered certificate of authenticity. Sculpted by Bigshot Toyworks! Release date Nov 2018. ​A Diamond Select Toys Release! 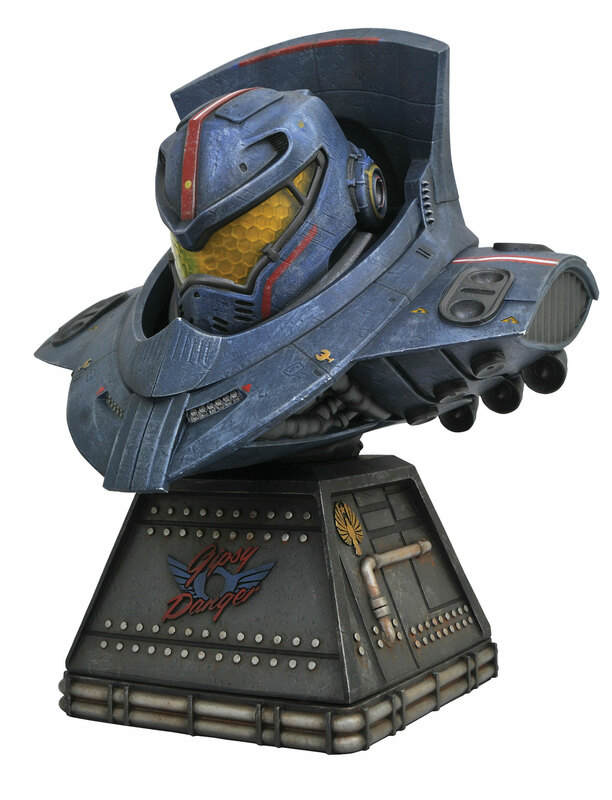 Save some cash for the upcoming apocalypse with this vinyl bust bank of Gipsy Avenger! 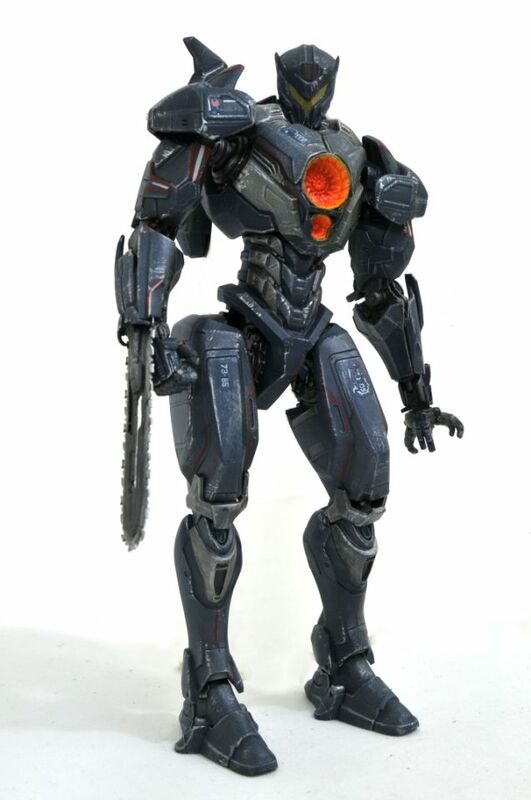 The massive Jaeger is now an approximately 8-inch vinyl bust, featuring detailed sculpting and paint applications, as well as a coin slot on the back and an access door on the base! It's a collectible and a place to collect your change! Bank comes packaged in a clear polybag. Sculpted by BigShot ToyWorks! A Diamond Select Toys release! How titanic is your Gallery? 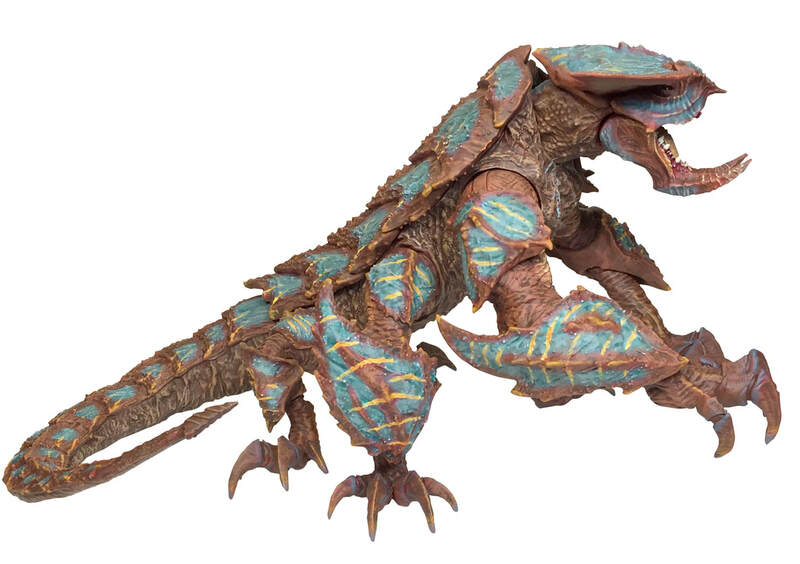 The world of Pacific Rim Uprising just got even bigger, with the first ever Gallery PVC Diorama from the hit sequel! 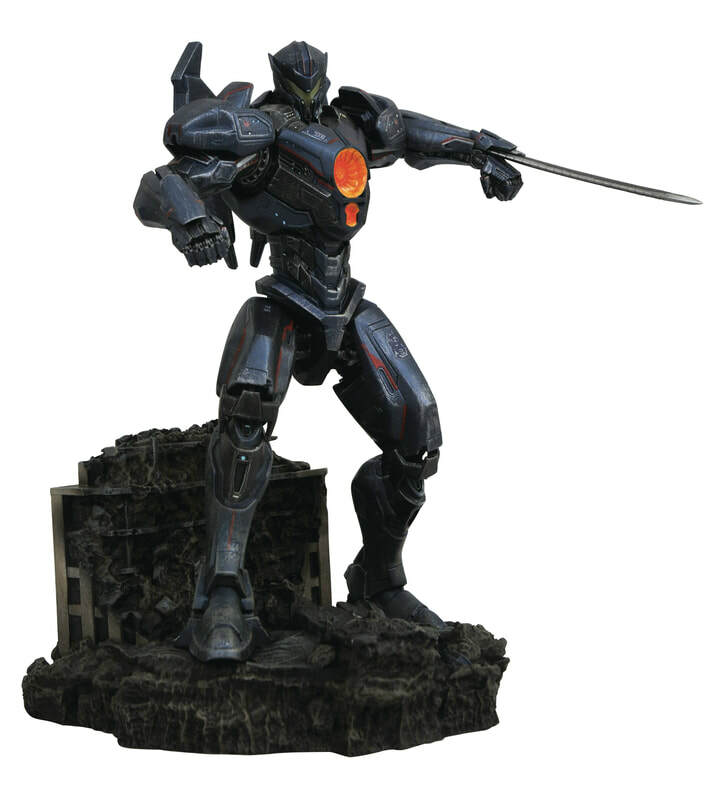 Gipsy Avenger stands on guard against Kaiju (and rogue Jaegers) above a diorama of decimated buildings in this 10-inch sculpture, cast in high-grade plastic and featuring detailed paint applications. Packaged in a full-color window box, it was designed and sculpted by BigShot ToyWorks.